Am I the only one who thinks January passed in a blink? Well, I remember new year's eve and getting totally drunk. I also remember waking up the next morning with absolutely no recollection of what happened past midnight. The next thing I know, its February! This goes on to show that January was so uneventful for me. January was all about work, work and more work. While the month was way too hectic and strenuous, it did teach me a lot. The lessons I learnt from January would pave the way for February to me. January left me with no time for anything else. A normal day for me starts by 7 to 8 am, depending on when I wake up. After reading newspapers along with a cup of piping hot tea, I enter the kitchen. I then prepare lunch and pack it in two dabbas for the husband and me, followed by preparing breakfast. After the husband leaves, I wash up and then get ready for office. After 7-8 hours in the office I get back home by 7 pm. I normally read/write/sketch for an hour and then get ready to prepare dinner. When the husband returns, we talk for some time, have dinner, wash up and then hit the bed. This is a normal day for me. But thanks to January, I was working late into the night and sometimes till the wee hours of the morning. This gave me time for nothing else. The minute I got back from home, I used to rush to the kitchen to make dinner and login to work again. Not having any time for myself left me frustrated. One fine day, I broke down and realized that I cannot do all this. If something needs a little extra time from me, something else has to take the backseat. Sadly, the person that I am, I am used to doing a lot of things and managing everything on my plate. When I did not have the time to read or write, I used to lose my mind. Suddenly all the books at home stared back at me and my blog felt barren to me. The goals that I had set for reading and writing began to haunt me and I used to lose sleep over it. Moreover, ever since my parents had an accident I'm emotionally exhausted and I myself have not been in the pink of health. That is when I learnt to let go and how important it is. Reading and writing are passions and they should not be forced upon oneself. Wanting to write three articles a week was a goal, but not a compulsion. Same with reading. Since there are only 24 hours in a day, there is only so much one can do. Yes, I've learnt to let go. I've also learnt not to blame myself for somethings that I cannot do due to the time constraint. You win some, you lose some. That's how it works. Reading was not all that bad though. During the first week of the month, I had finished reading two novels and four of Tintin comics. I'm enjoying reading the comics, to be really honest. Not only the story, the whole package is very interesting. The art in particular, is brilliant! It does come in as a nice break from heavy emotion laden novels. Writing had to take a backseat because I wanted it to. While goals might be good, making it a compulsion takes away the fun from it. While I was busy, I could hardly think of anything to write about. The list of topics I had suddenly looked vague and I did not want to invest the very little time I had on it. My brain was overworked and I was exhausted by the time the sun set. Mentally and physically. While dragging myself, I could only do what little I could. January was a very weird month in terms of how it played with my mind. I normally am an energized person who always needs something to do. But January turned me into an ever exhausted pigeon. There was no peace of mind whatsoever and I found myself being plagued with negative thoughts. When I do not have the time to do things I like, this is how my mind tends to behave. Once I learnt to let go of things and take one thing at a time, the month started looking up. Acceptance of the situation in front of you is so important for survival. Well, I was always a practical person. But now I've learnt not to have too many things on my plate especially when there are limited hours in a day. Once this thought was drilled into my head by myself, I felt free. Today is the first day of the new month and I've stepped in with no baggage. Most of my work is sorted out and I am able to find some time for myself. But I'm no going to rush into things. I'll just take it slow and go with the flow. I have always been the one who swam against the tide, but now I seriously need to slow down. I'll read when I feel like it and write when I have something to say. Trying to squeeze a certain number of books and blog posts within a month will not happen from now on. I am a competitive person who competes only with herself, but I'm going to focus on better things now. Once I let go of the deadlines in my head, I feel light. From where I sit now, I see the sun shining bright on my face. It's almost blinding me, but I'm smiling. I feel free. Very free. 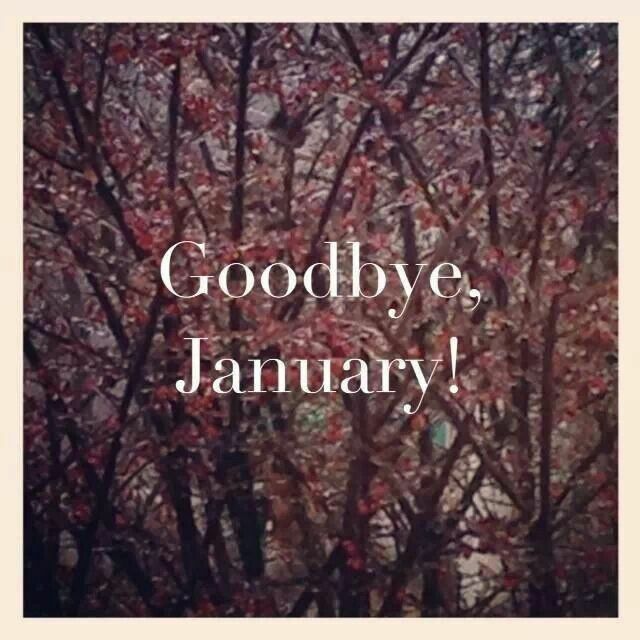 January was all about letting go and February will all be about slowing down. What's your goal for the new month? Can I just say how proud I am of you? You're so right when you say you should not let goals become limiting to your strength and your time. Don't ever do something because it has to be done. Do it because you want to, find joy and love the process. I found the same thing to be true for myself these last few months. Made me happier than ever. Big hugs and I hope February is more peaceful for you and less stressful. I know what you mean. Win some, lose some has been my mantra too. However, here is where I differ. I have been telling myself that work will always get done and work is a part of my life. Not my life. So I am committed and give my best every single day, I want to have the time to write and read. I want to be able to do things that I like to do. And having just 24 hours a day, the only way I can do what I like to do, I will have to prioritize. :) Work in progress but yes, working on this. Prioritization, oh yes! I did that a few months ago when I had little spare time and wanted to distribute it among my passions. But in January, I had no little time at all. It was all about work and I did not want to let that suffer. What has to be done, has to be done. I completely understand what you mean. Often we become prisoners of our own goals and stress ourselves out. Last entire year I did not do as much of reading as I liked but then I said it's okay. I just didn't have the band width to cope. That realization helped me manage my emotions better. Like you said reading and writing are important but they are not our lives. Happy that your schedule is much better in February. Hope things look up. It was eating me so much from within and I was wondering why was I tormenting myself this way. I knew only I could put an end to this and I'm glad I did. Yes, it does help manage emotions better. February seems to be a tad better when compared to January. I hope things look up for both of us. I have been lazying around on the contrary, I need to set deadlines and targets to keep myself on the track. You mirror my thoughts since the past few months. I am very much similar to what you describe yourself to be and for me to be sitting at home with no real thing to do has been challenging. It was difficult to come to terms with myself and then later on I realised what you realised too. That is to slow down and take things easy. But mind you, I will tell you from experience. We can't take this slow life for too long ;) we tend to slip into our speedy selves very soon. Oh yeah, that is what I am worried too. I enjoy being busy so much that I might slip back to that phase. But this time I'm determined to take things slow and breathe easy. I'll try it for a month. Hopefully it will do me good and I'll continue. This post, and this past month of yours - remind me of my Aug to Nov 2016. I was overworked and overwhelmed. I had to repeatedly remind myself to calm down and let go. It wasn't easy because I am a closet control freak, but that is just what I did, what I had to do. For my own sanity if nothing else. And it has made a world of difference. Hoping you have a more peaceful February. I'm glad you took a call and decided to slow down. I'm a control freak too and letting go of that trait is not easy. I'll try my best though. Thanks Shantala. You're close to Nirvana Soumya. Letting go of your goals isn't easy, but one needs to modify them sometimes - specially when they were made to keep oneself happy to begin with. You seem to be in such a sensible frame of mind. February will certainly be a peaceful month only because you've decided to make it so. Thank you so much Tulika, that's the hope. Love your attitude, Soumya! Jan was super-busy for me and I loved it. Oh yes, ups and downs, but that made for a fun ride. I cried, I sulked, but most of all, I laughed a lot and breezed into Feb, and am looking forward to this funny month with fewer days. Plus, my 20th wedding anniv is staring me in the eye! :D Hugs and cheers to a fab Feb. Thank you my dear hottie! Jan wasn't a very pleasing month for many it looks like. I'm glad we survived it with a smile. I have been following your blog and love your writings for their creativity, lucidity and straightforwardness. I intend to do a series on "A Day in Your Life as a Blogger". I'd love to be a part of this series of yours. Let me know how do we take this forward. Oh i am craving Tintin comics now. Haven't picked one in years. Let go seems to be working fine for me so far. You should try it too. Do pick up Tintin again. It's a welcome break from other heavy reading.